At the EuroEco2018 conference 10-14 September 2018 in Tbilisi/Georgia the topic of "Sustainable Tourism Certification" has been a big issue. 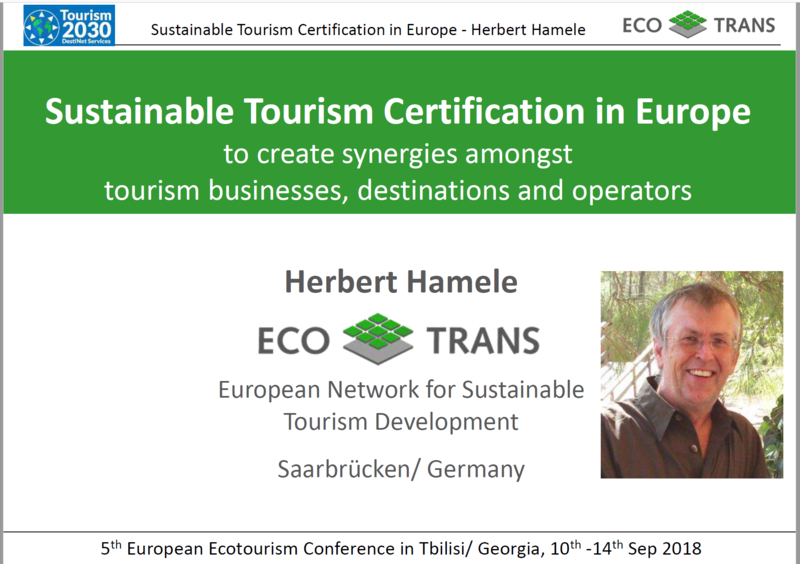 Herbert Hamele (ECOTRANS) presented as online speaker the relevance of the SDGs for tourism, latest research results and recommendations in Europe, and tools for tourism businesses, destinations and operators as results of the European TRIANGLE project. You can see and download the presentation with references and weblinks here.